I’m bursting with excitement! It’s Chelsea time. And what a fabulous year it is. 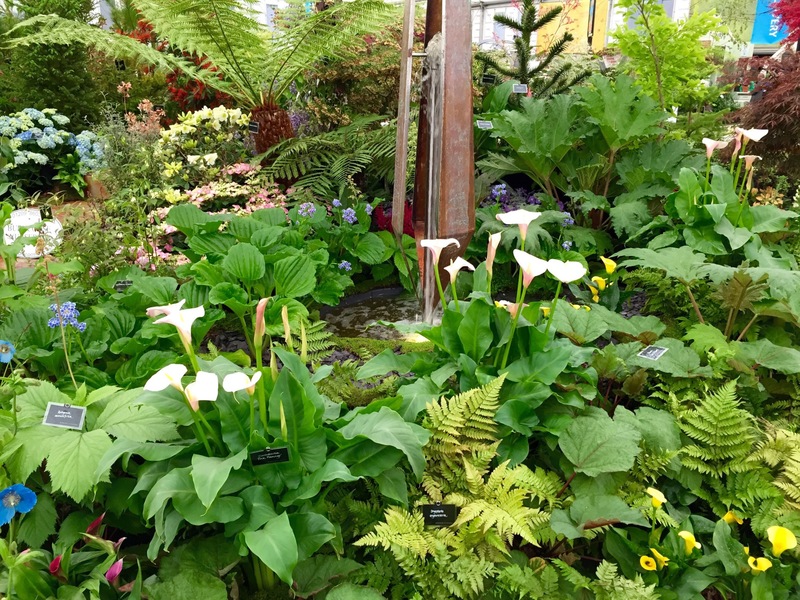 Whilst it doesn’t open for a few more hours and the awards and medals have yet to be announced, I’ve already had the chance to (virtually) ogle all the gardens and um and ah and decide what I like and what I don’t like, what inspires me and what ideas they prompt. And I think this year is better than ever. There seems to be a greater degree of experimentation; rather than a playing it safe routine. But useful, rather than outrageously wacky, experimentation. Dan Pearson’s Laurent Perrier garden is the one that everyone’s eyes are on. After 11 years away from Chelsea, the garden designer who has been called ‘the Greta Garbo of the gardening world’, has been lured back to create a reflection of Chatsworth, one of Europe’s greatest gardens. 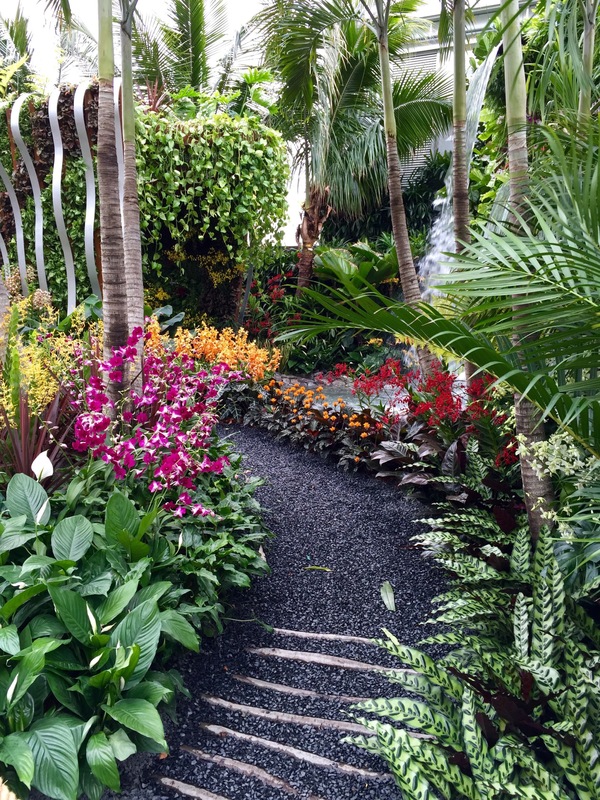 Rather than playing to the formal gardens around the house, Dan took his inspiration from the wilder corners of the 105 acre property, literally digging up less than pristine specimens to replant at Chelsea. 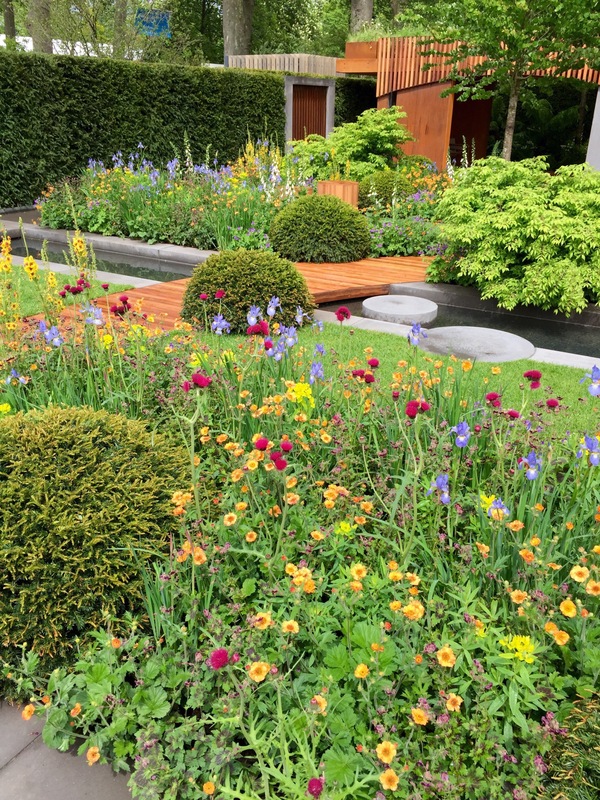 The Chelsea marking system looks for show gardens that are imaginable as back gardens and this is the big question here. As much as we love his low key naturalism and dislike of wastefulness (the show garden in its entirety is moving back to Chatswood next week), is this a Chelsea winner? 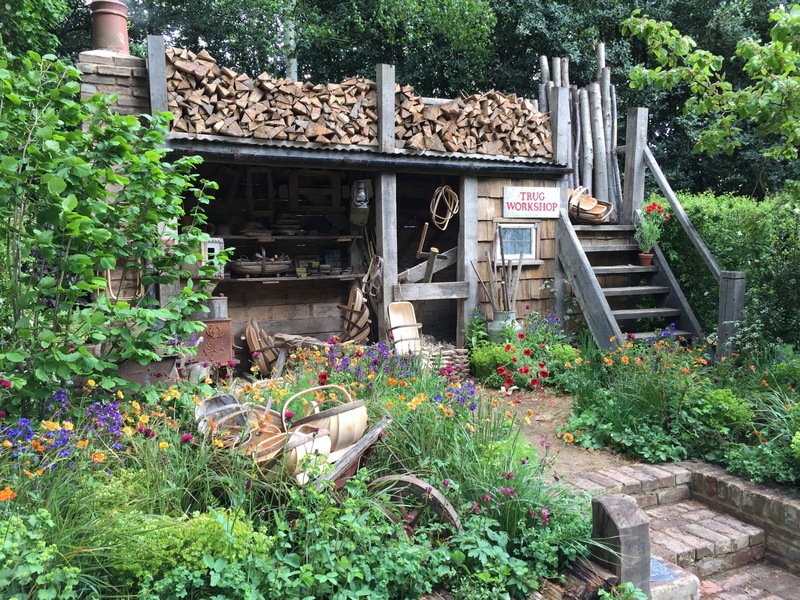 My view is that it is one of the most inspired gardens, with the most skilled planting; an incredible feat without the dreaded excess so many exude, but I’m not sure the judges will give it Best Show Garden. Will will find out later today. And whilst the Laurent Perrier garden isn’t a typical English back garden, it is wonderful to see the demise of the Buxus ball more broadly. 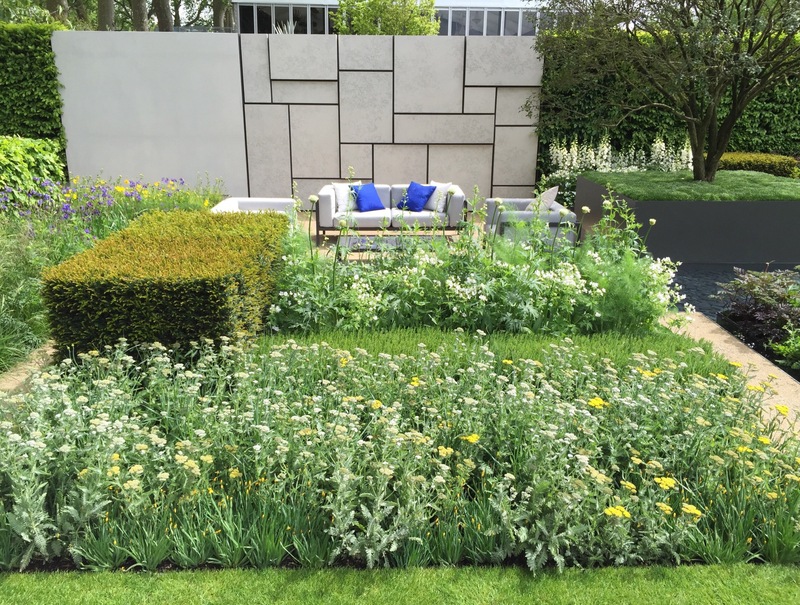 Yes, it works so well, giving structure to the fashionable loose planting of today, but it’s so ubiquitous, I groan when I see it at Chelsea. Last year the look was everyone. This year, only a couple are using this technique – hoorah for Chelsea! There is more of an international flavour this year, too. 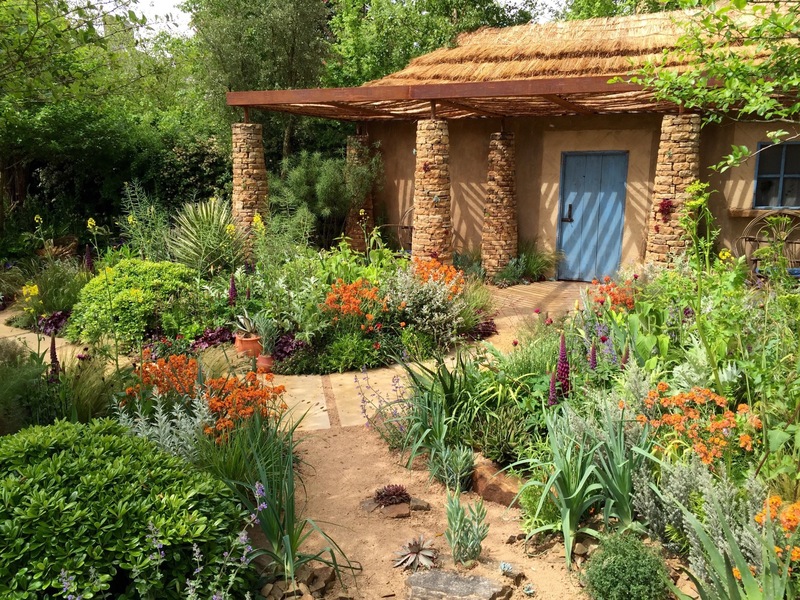 We have John Tan and Raymond Toh presenting their Singaporean, tropical garden, Kamelia Bin Zaal from Dubai and our very own Charlie Albone from Sydney, along with Matthew Keightley’s and Prince Harry’s African-inspired Sentebale garden. I was a bit disappointed with the latter. 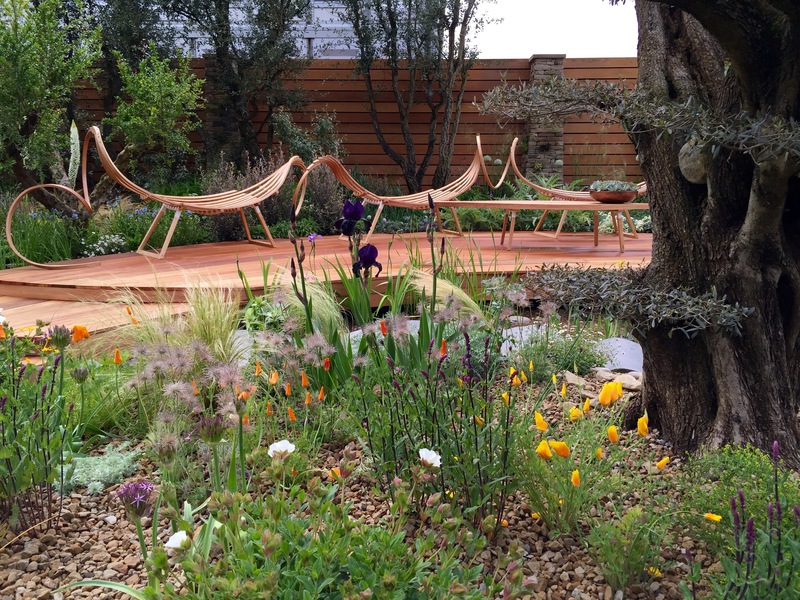 I adored Matthew’s 2014 Chelsea garden and was excited about the African sense of place he looked to be creating. But I feel it is a bit too much of a mix of Africa and England. 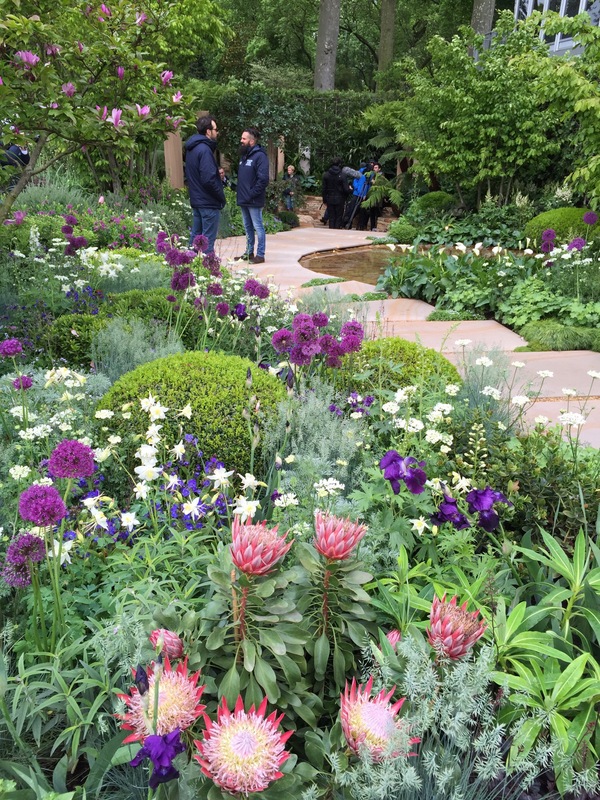 Much of the planting looks very standard Chelsea to me; beautiful, but not very African. It’s not quite one or the other, which is a shame. I really wanted to love the Singaporean garden, but it is as I expected. Just too ‘blocky’! The contrasts are too defined and too harsh and it feels very static. 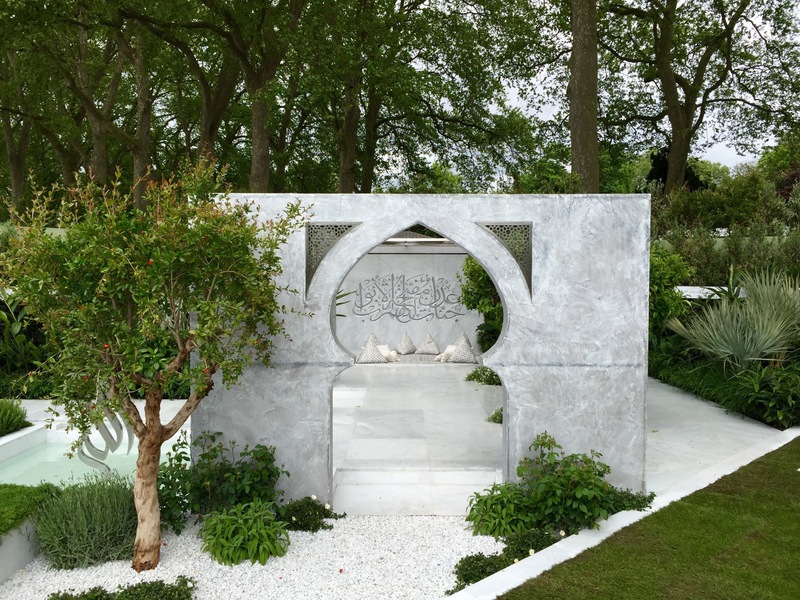 Kamelia Bin Zaal’s Islamic-inspired garden is very serene. The traditional simplicity is stunningly beautiful, but the garden is a little stark. Gorgeous styling, but not one I would want to linger in. And Charlie Albone’s. Well, I adore the proteas, I think some of the intricate stone work is stunning, but I have to say, it isn’t my favourite of the lot. It is the Buxus ball garden of the show and I’m just not sure about the colours. For me, the purple of the alliums needs clearer complementary colours – they look gorgeous with white and yellows and stronger blues, but with the pinks it’s all a bit too much for me. 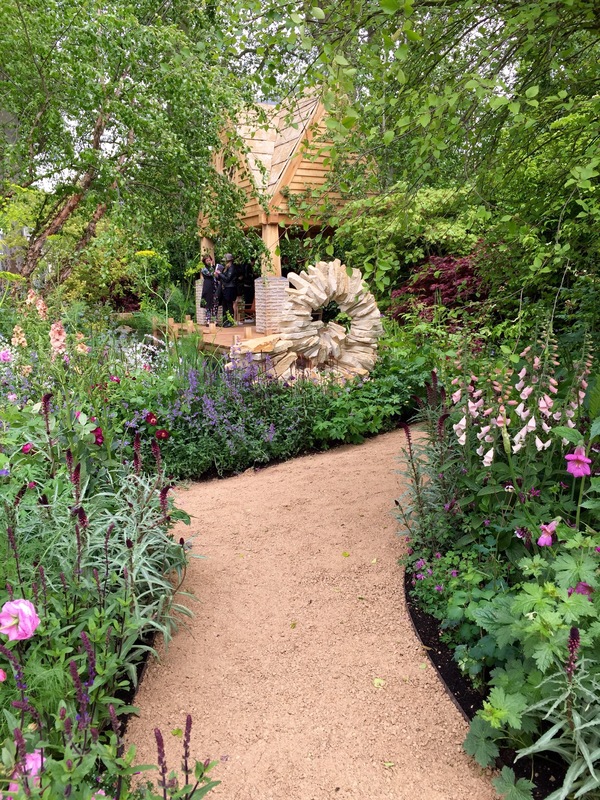 Another garden I was excited to see and one which is deemed almost certain for a Gold is Jo Thompson’s M&G garden. The planting is stunning. Burgundies soften the more gentle bluey-purples here; the mix of colour is wonderful. It is interesting that there is little structure within the planting; some trees inserted to give height but no tightly pruned anything. And yet it works. Very clever indeed. So much harder to pull off than it looks. I even like the oak pavilion, inspired by Vita Sackville West’s Sissinghurst writing room. I’m not a fan of pavilions, but this one blends into the garden well and doesn’t look like it’s just come off the production line. The Telegraph garden is always a good one. Whilst I’m not so taken with the overall effect this year, they have tried a new technique, which I always love to see. Here are planted out blocks of colours in a geometric, modernist pattern, i.e. blocks that are supposed to be ‘blocky’! I think it’s an interesting idea and the very soft, delicate plants bring nice contrast to the formal layout. One to ponder…. I also love Adam Frost’s Homebase garden. Homebase always play it quite safe and this is no exception, but I can’t help but like it. I think it’s the bright, primary colour thing I adore, offset against beautiful greens and warm timber. Not the most exciting garden, but very pleasing. Finally, I thought I’d bring you one of the small show gardens. ‘A Trugmaker’s Garden’ (predictive text very tenaciously wants me to say Drugmaker’s here!) by Serena Fremantle and Tina Vallis, first timers to Chelsea. Perhaps it’s the bright, primary (ish, I appreciate!) colours again, perhaps it is my love of rustic trugs (I have one sitting next to me as I write), but the whole garden just sings to me. I could sit there all day. So those are my ‘first five minutes’ impressions. I very much look forward to seeing the results of the judging and all the reviews and getting my thoughts together about how I will design differently having processed them all. I hope you enjoy the photos too! A huge thanks to Dan, the intrepid plantsman from the Frustrated Gardener website, for all the photos today. He has a fantastic blog here, if you’d like to see more from him – I can highly recommend it! I have also been poring over Chelsea photos trying to get a sense of how these gardens look in real life. Maybe it’s a tendency of photographers to photograph ‘stuff’ rather than spaces, but they all look totally overplanted to me, like huge banquet tables groaning under the weight of too many decadent delicacies. I guess that’s why I like Kamelia’s ‘Beauty of Islam’ so much. I’m not usually a fan of stark or minimalist gardens but I really like the feeling of spaciousness, yet enclosure, and the quiet colour and plant palette. By comparison, it’s a cleansing diet! 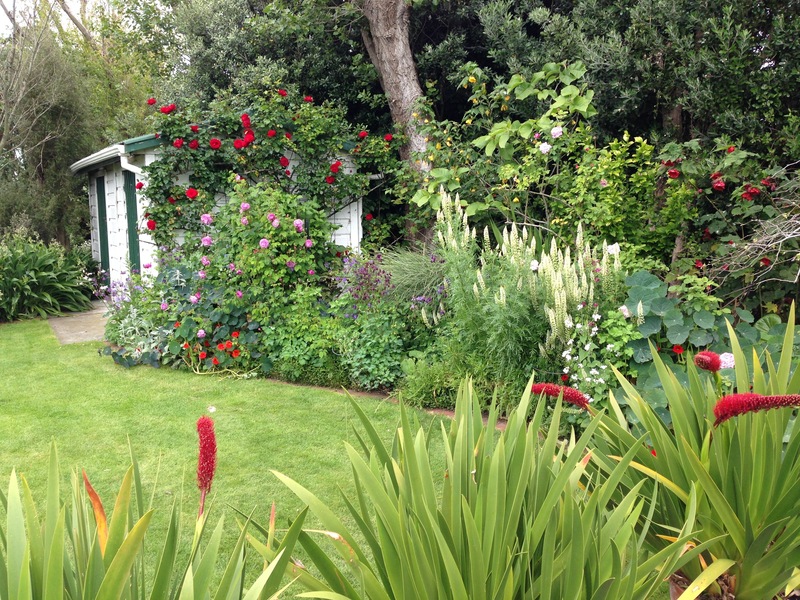 I agree Catherine – nothing beats patches of green ‘space’ to break up the busyness of all that billowing colour. I guess though the space they are allocated at these shows may not properly reflect the impact the designs may have were they within larger gardens – not sure just a thought. Every square inch is used as fully as possible, isn’t it, Adriana, unlike in a ‘normal’ garden where more void is both practical and calming. Personally, I am a big fan of exuberance; there’s nothing I love more than feeling utterly consumed by plants around me, although I appreciate this isn’t for everyone. Green is so important to balance colour, as you say (it’s the reason I’m not so keen on Azaleas, for example), but I’m quite happy for that green to come from bulky foliage rather than a low ground cover such as lawn. These gardens certainly get us thinking, don’t they? Catherine, yes, I’m sure you are right that we get a ‘fuller’ look on camera than we would in real life. 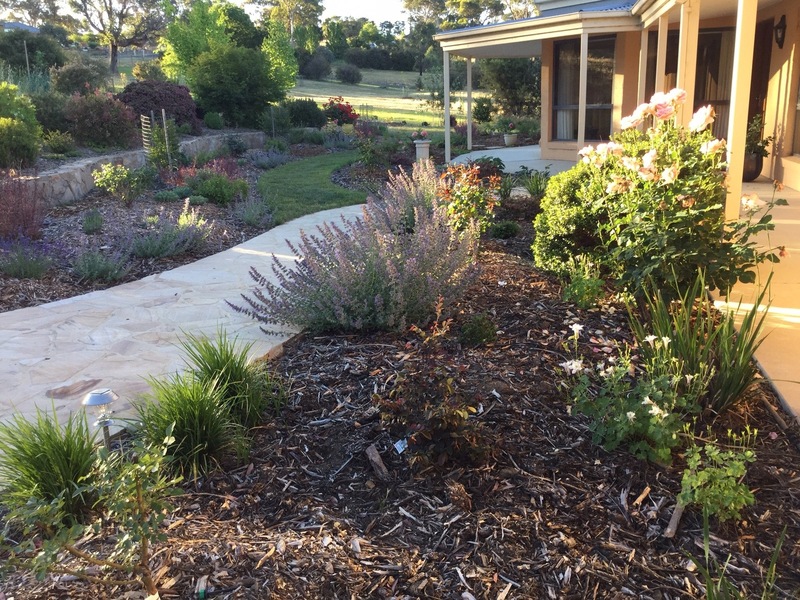 Kamelia’s garden does stand out as very fresh and ‘cleansing’! I think it is visually absolutely stunning, I just can’t quite imagine wanting to sit in it for any length of time; I’m not sure it would generate the emotional connection I so love from a garden. It would indeed. You are clearly much more diplomatic than I am though, Matt; I’d just LOVE to get stuck into the scoring! Thank you SO much for this virtual tour. I went to Chelsea two years ago and loved it all — the atmosphere, the plants, the gardens, simply the Englishness of it all! We were at the Australian show garden just as the team discovered they had won ‘Best in Show’. It was a wonderful moment to share their excitement. How amazing to be there when they heard they won ‘Best in Show’. It must have been electric! I keep telling myself that it’s nice to see the gardens without the crowds, but of course we can’t recreate the atmosphere from our armchairs! 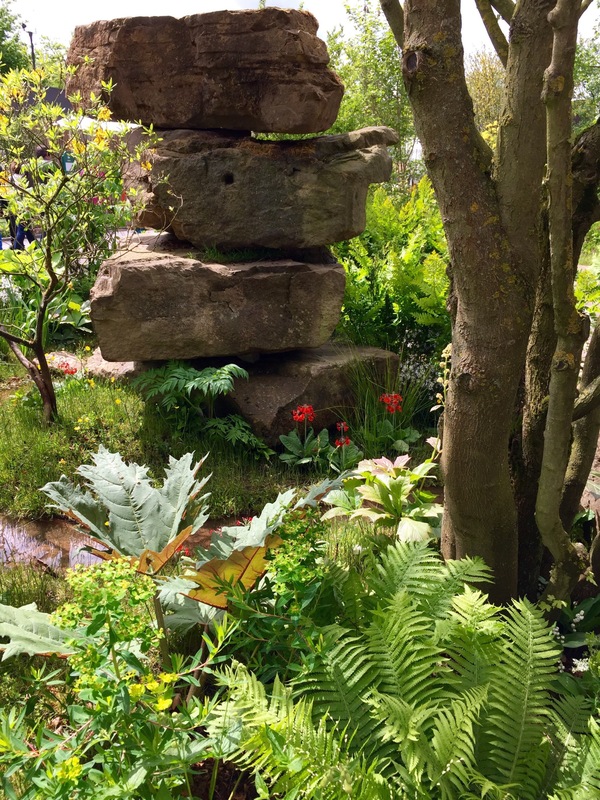 I look forward to the day I can visit the Chelsea show! In the meantime, thank you for the wonderful blog and photos……plenty to think about! Once again you have given me plenty to think about in the creation of my garden. It is great to see so many gardens that are so close to perfection – it really helps us to think through what we can do in our own gardens. There is nothing I love more than working out what, exactly, it is that works so well (or otherwise) in a garden – I really am in my element this week! Hello All. I was there for the ‘best in show’ announcement and it was very exciting, if not a little staged. Dan Pearson took it all in his stride although he says he will never do another. The work involved is immense. Of course Chelsea gardens are over-planted, they are expected to look established and May is traditionally the lushest time in English gardens. However, The Perfumer’s Garden by James Basson showed great restraint and left lots of bare earth. Here it was appropriate and scored well with the judges. I loved your post Janna and thank you so much for showcasing my photographs. After another 12 hours at the show I won’t be writing another thing until the morning! I loved your beautiful and informative article Janna. You have perfectly written great piece of article for Chelsea show!! Thanks ever so much, Mitchell. Your kind comments are much appreciated. I’m very glad you enjoyed it.